Carlos Abou Jaoude is the Founder and Managing Partner of Abou Jaoude & Associates Law Firm, one of the largest law firms in the MEA Region. He has gained broad knowledge and more than twenty years of experience working in Europe (mainly Paris, London and Geneva) and Beirut. Carlos Abou Jaoude sits on the boards of several prominent international institutions, corporations and funds. He is a member of the American Chamber of Commerce (AmCham) Banking & Finance Committee. His multidisciplinary expertise and international experience spans over a broad range of industries in the public and private sectors, including Corporate Law, Banking, Finance (including Structured and Project Finance), Capital Markets & Securities, Mergers & Acquisitions, Media, Telecommunications, Energy, Financial Restructuring & Insolvency, Tax, Real Estate, and Privatization. He combines his legal capabilities and sought-after business perspective to handle major cross-border transactions of first impression in the region and his recent representative work including syndicated facilities, bank acquisitions in Europe, issuances of preferred shares, Government bonds repo transactions, financing arrangements and tendering processes for a major media group, and major EPC Contracts and power plant projects with the Lebanese Ministry of Energy and Water. Carlos Abou Jaoude is regularly invited to participate in government-led legal reform initiatives under the patronage of the Presidency of the Council of Ministers in collaboration with the World Bank and the IFC. He is also solicited to participate in pre-legislative round tables organized by the Central Bank of Lebanon and the Capital Markets Authority. He has been keynote speaker at conferences on a variety of legal subjects, namely banking and capital markets, with recent speaking engagements including the 2017 renowned Euromoney Lebanon Conference and the BDL Accelerate Event. 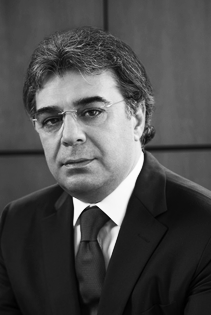 He is recognized as a Leading Lawyer by prominent global directories, including The Legal 500 and Chambers & Partners.